Sensors and switches both provide simple-to-use interfaces between controllers, logic systems, and actuators. Switches are electrical components that break, interrupt, or divert currents. They consist of two conductive pieces connected to an external circuit, with an actuator to apply force to contacts and break or complete the circuit. 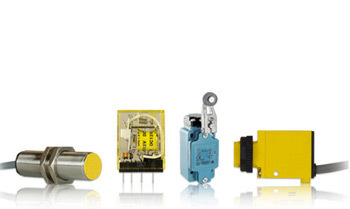 Operators use them directly, indirectly, or through a sensing element. Specific sub-types include the electrically operated relay, manually operated toggle, and twisting rotary switch. Sensors are a type of transducer used to detect information, such as temperature, pressure, density, color, light, strength, position and more, and convert the information into electric or optical signals. There are numerous types and capabilities of sensors on the market.